The Salesforce Spring '16 Release Notes are available for preview. With over 375 pages of content to review, its a lot to cover. I created my top 10 list of new features coming in Communities. Trailhead, the free, fun and fast way to learn Salesforce, has new content. There is a new Advanced Admin Trail that features modules on Advanced Formulas (which is a new module), Event Monitoring and Lighting Connect. Keeping with the Lightning theme, there are modules on Chatter and Data Management within the Lighting Experience. For those Star Wars and Force (.com) fans out there, check out Build a Battle Station App project. The intro in the first step had me laughing out loud and is worth a read. Best of all, if you complete this clicks not code project by December 31, 2015, you have the chance to win awesome prizes like a Play Station 4 or Sphero Robot, check out the full details. If you have completed the Application Lifecycle management module, you will want to check out the updates made to it. Finally, the module that caught my eye and one I want to dive into more detail is the Apex Integration Services. While there are multiple places where testing occurs in the life of releasing a managed package to the Salesforce AppExchange, let’s take a look at the transition from deployed code in a packaging org to a released version of a managed packaged. Now, you may ask, is there a need to do more testing in , phase? Aren’t the unit tests, functional testing, regression testing, etc. already performed enough? I believe it is imperative to test the packaging of your app before releasing, as there is still room for defects to find their way into the final product. Testing on the final product is always a good idea. For example, when packaging up your app, did you include every single new component or remember to delete that obsolete field? Perhaps you hit a ‘working as designed feature’ where custom labels used in an apex composition component are not included in package causing the install to fail. When including permission sets in the package, do they include permissions for a custom object that is the child of a master/detail relationship with a standard object (hint – the package install will fail)? What about the upgrade experience for existing customers, will everything work correctly and do your upgrade notes cover all the necessary steps to updated layouts, views and other non-upgradable components? As many possible issues can arise, you owe it to your customers (not to mention the team’s effort to reach this point) to ensure a quality release. I will cover the testing from when release ready code is available in a packaging org through the managed release version. Before uploading a release version of the managed package to the app exchange, here is what I do. A great option in the packaging org is the ability to create beta packages. A beta package lets you create a package, install it into another org and test the package without having to commit to the components in a package. Conversely, with a managed package release version, the components are permanent. With each Salesforce release, there are additional capabilities for ISVs to remove components from released packages. However, certain components like global interfaces cannot be deleted or changed. In many cases, going right to a released version without final testing can leave you stuck with components you don’t want. Although beta packages have a lot of benefits, there are a few limitations to outline. First, beta packages cannot be upgraded. The practical impact of this limitation is the following. When testing a beta package, if you find an issue and plan to release a second beta, it cannot be installed into the same org on top of the first beta package. You have to uninstall the beta package first. While this seems like a minor annoyance first, keep in mind that any related components must be removed or updated first. For example, if your installation process calls for button overrides, page layout assignments, data creation, etc., it must be undone first. This can greatly increase the effort involved. Next, beta packages can only be installed in developer orgs or sandboxes. So if you wanted to spin up a trial force org as a starting point and then apply the beta you are out of luck. Creating a beta package is easy. From the packaging org, select a Release Type of Managed – Beta. Then you can install in a Developer, Sandbox or test organization for registered partners. My first step is a simple new installation test of the beta package. I have a dedicated beta test org that is dedicated for this purpose. I installed the package to verify that there are no unexpected installation problems (like the master/detail permission set issue) and to test out post install scripts. While many managed packaged do not include permission sets, I encourage you to consider adding them. A simple search of Ideas on the Success Community shows that setup hurdles with managed packages is a source of common complaint. Permission sets assist with the setup processing, making it easy to assign functionality to groups of users. While permission sets are great, it is not possible to include standard objects in permission sets for a managed package. In addition, a permission set that includes permissions on a custom object that is child in a master/detail relationship with a standard object will cause the install to fail. My approach has been to include everything possible in a permission set that is installed with the app. While details are included in the installation guide to create the additional permission sets manually, it is not the best admin experiences. I had tried to create the permission sets as part of a post-install script, but the context that this script runs does not have permission to do this. Feel free to vote for my idea to allow this. Instead, I offer an apex class that can be installed in the org, executed to create the additional permission sets and then removed. While performing a beta install test, I do not go through extensive post-install setup or create sample data. Any additional setup or data, must be undone to uninstall. Remember, the point is to test the install, not the entire app. You will be installing and uninstalling in this org, a lot. It is possible to install and uninstall the managed package through the API, which can be a time saver. The second step in the process is to test the upgrade from the last released version of the package (betas cannot be upgraded). Here I have a second, dedicated beta upgrade org. This is installed with the latest, managed release version of the package prior to the beta. I would rather find out early in the process that there is an upgrade issue. Similar to the Beta Install Org, there is only minimal setup on the prior version. After upgrading to the latest beta, the package will need to be uninstalled to test again. To further facilitate the installation and setup testing, I am working on setup and teardown processes that will use the meta-data API to further automate the testing process. More on that in the future. As I now know the beta package will install and upgrade, it is time for more thorough testing. It is best to start with new install testing first. I want to preserve my previously setup orgs for testing on the final beta version, where only potential upgrade issues exist. This helps to preserve more realistic data from the prior version. While I could use the Beta Install or Beta Upgrade org for this testing, it would defeat the purpose of quick and easy installs. In this org, it’s time to run the app through its paces, including testing of permission sets or profile settings with different users. Ideally, no issues are found and testing can move forward to the last step. If issues are found, its time to build a new beta version, uninstall and start testing again. At this point, its time to test the upgrade from a prior version with full setup and data. As many package components are not upgradeable (such as page layouts, list views and reports), it is good to check out the upgrade experience as well. You can verify that upgrade notes accurately capture all of the needed changes. Saving this for last minimizes the amount of testing setup that is needed. In my case, I have a several different testing configuration to try out. Although, you may only need one depending on your app. It is worth mentioning that I have setup automated data loading to get an environment up and running quickly. All of the data needed in an org is loaded with a master script using data loader from the command line. One of the best benefits using a beta is moving to a released version. Uploading a new package is simply changing a radio button on the package. No package content has to be changed, which means no room for error. This ensures what was tested against is what you release. Remember, to go through and deprecate any beta packages created during testing. This will not effect any installs, but prevent any new installations from occurring with this package version. Finally, I go through one final smoke test by installing the managed package. I will do this into the Beta Upgrade org, after uninstalling the beta version. I will need the new version installed here next time. While this is probably not necessary, I don’t want the first customer experience to be a failed install. With the above steps, I am confident in the app that I am releasing to customers. Let me know your thoughts and if you have a different approach to release testing. For example, if you are using a throw-away test namespace and going right to managed released version, I would enjoy hearing your results. I am always looking to make the process better and faster. After another exciting Dreamforce full of new technologies like the IoT Cloud and customer success, it is a good time to reflect on what was shown and turn an eye to the future. Here is my prediction on what we will see from Salesforce in the next year. Dreamforce 14 saw the launch of Trailhead, a new online, guided learning tool from Salesforce to help developers gain knowledge on the platform. In the year since launch, the content and capabilities of Trailhead have expanded greatly. In addition to developer trails and modules, there is content for admins, users, non-profits and ISVs. Salesforce’s launch of the Lightning Experience was backed with extensive training in Trailhead for users, admins and developers. Finally, the Developer Zone at Dreamforce was all Trailhead all the time, complete with a cool, national parks motif and tons of opportunities for hands on learning. I believe next year’s Dreamforce will see the launch of a new cloud – the Learning Cloud™. With the underpinning technology that drives Trailhead, it is time to make customers, partners, non-profits and all stakeholders successful in their educational efforts. Here is how each constituent will benefit from the Learning Cloud. Have you met a customer that does not have the need to train employees? Because, I have not encountered one. The obvious application is to train employees of the Salesforce system, including specific customizations and apps. However, the Learning Cloud can do so much more. The onboarding that every new hire must complete, from HR to IT, can live in the cloud. While I have not heard many people speak excitedly about compliance or HR training, it is time to change the experience. Do not discount the gamification aspects of earning points and badges while competing with others. Leaderboards for new hires, departments and team adds an element of fun and peer pressure to keep up with co-workers. Through integration with Work.com, a manager can setup and track progress on training goals for their direct reports. Executive dashboards in the Analytics Cloud provide insight into the organization’s skill set and corporate readiness to pursue new ventures. Employees are only half of the equation for Salesforce’s Customers. The application for the Customer’s end Customer is extensive. Need to train operators on a new model of industrial equipment, the Learning Cloud has you covered. The same is true if you need to certify partners on your solution or service. Applications can be applied to Business to Consumer application as well. Looking at the gamification aspects again, consumer behavior can be easily incentivized. Individualized customer journeys can be setup in the Marketing Cloud to provide a reward code, special level, or discount offer for your active participation in learning activities. As many products and services have lost their distinguishing characteristics from competitor to competitor, companies need a way to stand out. Differentiating yourself based on educational capabilities is one more way to avoid competing solely on price. The System Integrator partners are in the business of implementing the various Salesforce clouds, including the development of custom applications in the App Cloud. There is no better way to complete the roll-out and onboarding phase of an engagement then having learning management built into the same platform. Whether the need is for technical or business process training delivered on-demand or in person, the Learning Cloud covers the need. We all know how difficult change management is, especially in larger organizations. Overall training on the why, where, what, when and how of the change can be distributed in advance of go live. Additionally, help within the applications can point directly to the correct modules, providing relevant, contextual help when a user needs it. Creating this educational material, which can be updated and expanded as the solution evolves, only adds to the benefits of developing on the Salesforce customer success platform. The case is even stronger for existing partners developing apps sold on the App Exchange. With packaged application development, there is always the need to produce educational materials for administrators and end users. The old approach of writing a user manual that sits unopened on someone’s desk clearly does not drive engagement and success. Rather than wasting time creating an unread manual, which frustrates users and the content creators, engage with focused modules including interactive content based on actual app usage. For example, analysis of usage metrics can help identify where additional training is required. Integration with the Learning Cloud can go a step further to build compliance into the solutions. For example, if employees must successfully complete Personally Identifiable Information (PII) training before access sensitive data, the app can block access for the user until the PII module has been passed. With the introduction of the Learning Cloud, new opportunities for partners will emerge. The first is for SI-like companies. These partners will be educational theory and/or content creation experts. The partners will help advise customer on how to setup effective learning modules and paths, including assessment structure to accurately measure understanding. In addition, these types of partners will help structure effective lessons and questions, as well as the graphics, videos and interactive content that make learning effective. The second category of new partners will follow the path of current ISV partners. The Learning Cloud becomes a platform for them to reach customers that have nothing to do with Salesforce. Need to provide training to customers, these partners will have a range of Learning Management Solutions to fit your needs. Think of the current solutions provided by companies like Pluralsight or Udemy. No longer do they need to focus on the mechanics of delivering training. Instead it is about the content an making trainees successful. Salesforce is a strong supporter of improving the world through its Salesforce Foundation and 1-1-1 model. While there are many applications for the Learning Cloud in the non-profit space, a couple applications come immediately to mind. We have an education system that is not as effective as it should be. With the Learning Cloud, we could flip how we teach students and improve outcomes. Rather than having students be introduced to topics at school and reinforce the learning at home with homework, the opposite approach becomes possible. Use modules to introduce concepts to students, including video, interactivity and initial assessment quizzes. Homework then turns into schoolwork with the supervision of the trained educator who is versed in educational theory and techniques. If revolutionizing the educational module is too radical of an idea, applications remain with the current approach. What parent hasn’t struggled at one time or another when assisting a child with homework? Whether a refresh of the topic at hand or a better understanding of how concepts are being taught, parents can finally have a resource to help their children learn. Add in a connected Community Cloud where parents and educators can work together to ensure no child is left behind to amplify the effect. Within the Salesforce community, there are multiple outreach groups to bring targeted populations to the platform. For example, Girls Who Code or Vet Force reach out to specific segments of the population. Part of the mission of these organization is to expose their constituents to Salesforce and how to utilize the platform. Being able to customize cotenant focused on their member’s needs furthers engagement and participation. In person learning contests and hack-a-thons are much easier to organize and deliver with a platform to facilitate the event. With a relentless focus on customer success and so much need in the learning management space, the Learning Cloud seems like a natural next step for Salesforce. For the LMS companies out there, consider this your warning. Salesforce is coming and will disrupt your market. Most of you are not even aware of the threat. As an avid user of Trailhead since its launch in 2014, I am excited to see what the next year brings. Think about all of the content you would publish to the Learning Cloud in order to educate your stakeholders. Then patiently hold your breath for the next big thing to be announced. My last article covered the new Salesforce Lightning Experience. Since then, I have heard quite a few questions about how to come up to speed with the new experience. As with most Salesforce related learning questions, Trailhead has to be your first stop. 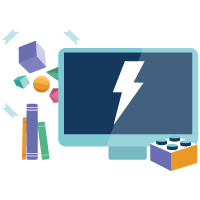 With the global preview on August 25, four new, Lightning-focused modules were released in Trailhead. The new modules range from the Sale Rep’s experience as an end user through everything Developers should know about Lightning. If you are an Admin, don’t worry there are modules for you as well. If you are starting out as a new admin with Lightning, check out Starting with Lightning Experience. For admins planning a migration, Migrating to Lightning Experience helps you understand the new experience and plan a successful migration. Tonight, Salesforce announced something big - a whole new Salesforce user experience. If you missed the global preview that included live viewing parties across the world, you can check out a recording. Or keep reading to learn about the changes and what it means to you. Salesforce has been on a three year engineering mission that started with reimagining the mobile experience in 2013 with Salesforce1 mobile and the platform in 2014 with Salesforce Lightning. This year, attention has turned to the user experience, with an emphasis on the Sales Cloud. Simply put - a whole new user experience, a whole new way to sell. The new experience is designed so you can sell faster, sell smarter and sell the way you want. Take a look at a few sample screens from the new experience - Home page, Opportunity Pipeline Board, Opportunity Details and Dashboards. The home page quickly displays key information that a sales rep needs to manage their day. A quarterly performance chart that shows performance towards goal. The Assistant section on the right identifies key actions to take, such as overdue tasks. The Account Insights section brings in key information about the accounts you are following. On the left, is an omni-present navigation menu to quickly move through the app. Simply click on the three bars to expand and collapse the menu. Search is now top and center allowing quick and easy search across all of your records. The Opportunity Board is an exciting new adding coming in Winter '16. With a new Kanban board view, you can easily see all of your open opportunities, their stages, value and key information. The totals for each stage is summarized at the top. Best of all, you can drag and drop an opportunity from one stage to another and watch it update in real time! Drilling into an Opportunity, key information is located at the top of the page. Next Sales Path is front and center with the progress pill. Users can see what stage in the sales process and have guided selling options. Activities such logging a call, creating a task or an event are available with a few clicks. An Activity Timeline of past activity and upcoming Next Steps display below the activity section. As you can see, hovering over related objects like an Account provided additional details. For the dashboard lovers out there, take a look at the new page in the Lightning Experience. You now have the ability to control the sizing of charts on the Dashboard, including having more than three reports! 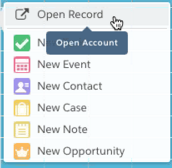 You can easily drag and drop on reports and re-size based on your needs. After seeing the Lightning Experience, the most common question is how can I get it. The Lightning Experience is coming with the Winter '16 release. Inside of an Org, an administrator has the ability to enable the Lightning Experience (Setup | Lightning Experience | Enable the New Salesforce Experience). 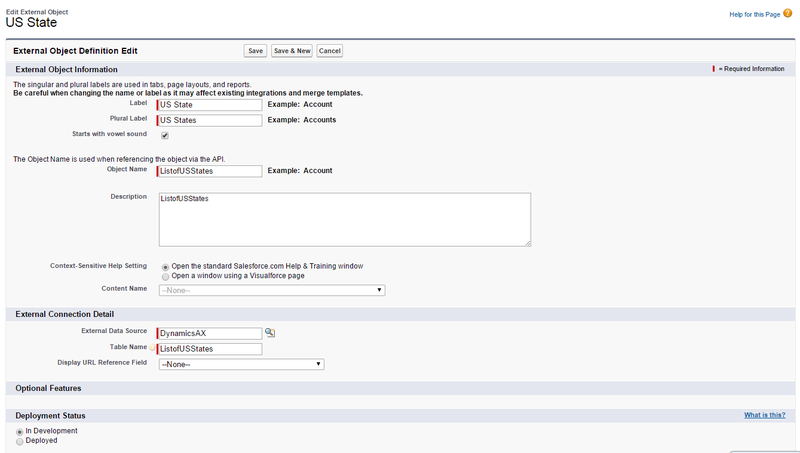 Then you have the ability to assign the Lightning Experience User to either a profile or permission set. Keep in mind that standard profile will automatically receive this permission, but you will have to add it to custom profiles. This enables a phased roll-out to improve adoption rates and manage change. With this release, the Sales Cloud is the focus for the new experience. So if you are using Service Cloud, you will still use the classic experience. In addition, there are exclusion from the new experience such as the Orders object. Finally, if you are using Person Account, the new experience is not supported, yet. No need to worry if you are not ready to migrate. The classic user interface will be supported for some time. One of many exciting announcements coming out of Dreamforce ‘14 was the introduction of Trailhead. Salesforce introduced its new guided learning platform, which combined educational material with interactive tutorials. Best of all, you track your progress through points and badges adding a gamification element to learning. Since its launch with three trail trails and a handful of modules, it seems nothing can stand in the way of Trailhead’s continued growth. While its initial focus was on developers, the most recent update this week eliminates any doubt that Trailhead is the learning platform for all. Newly released modules and trails cover CRM Basics, Accounts & Contacts and Leads & Opportunities. While prior updates have included Administrator focused content as well Beginner and Intermediate, this update seems to be the start of something more. Looking forward, I would not be surprised to see more content focused across a wider audience within Trailhead. The first hints of this come with the new Dreamforce Trail which helps you get ready for Dreamforce ‘15. In a year from now, we will probably be talking about Trailhead being the one stop shop for learning everything about Salesforce and bemoaning how tough life was BT (Before Trailhead). 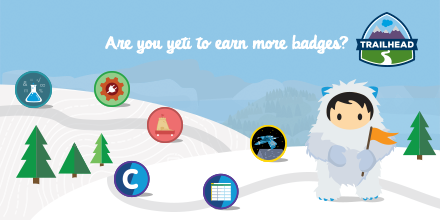 I have to admit, I am a certified Trailhead addict and try to jump on the modules as soon as they come out. There are a couple of mobile modules and project that I have yet to complete. However, I have blazed all of the other trails, including the the new modules that were recently released. Let’s take a deeper look at a module that I particularly enjoyed in the new release – Event Monitoring. The Spring ‘15 Release introduced a new Event Monitoring API that enables access to the same information Salesforce has to understand how your Salesforce Org is being used. Access to the insight in these events makes it easy to identify abnormal patterns and help secure your data. The module has three challenges to it. With all this detailed information at your fingertips, on possible use case is to monitor for data loss. For example, when a sales person leaves, use event monitoring to look for any abnormal report export activity to prevent your customer list from landing with a competitor. Query Event Log Files is the second challenge in the module. Once you have the correct permissions to use event monitor, head over to Workbench to use the SOQL Query Editor or REST Explorer to take a look at events in your org. While both SOAP and REST APIs exist to query event log file, there are key differences which the unit helps explain. I especially like the REST examples and results presented in Trailhead. With REST you can query for a Log File ID and then return a CSV of the results. The last step to earning your Event Monitoring Badge is the Download and Visualize Event Log Files challenge. There are multiple methods to downloading Event Log files, including a browser app (check out the module for full details). Once you have the data in hand, you can use your favorite tools to analyze and chart trends over time. While I have no doubt Excel and Google Docs will be popular choices, I love the option to push the data into the Salesforce Analytics Cloud. You have the benefits of a platform built to explore data and unlock insights. Best of all, as another Salesforce cloud, it is easy to share results with the rest of the team. For example, I pulled out the event log for API calls, loaded them into the Analytics Cloud and reported occurrence by IP address. By now, I hope you are as excited as I am to learn something new. 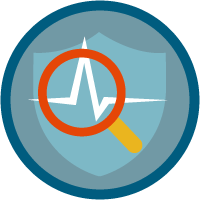 Head on over to Trailhead, pick a module or trail and expand your knowledge today. I recently ordered a set of littleBits, to get the kids involved with some basic circuitry (need to put the old computer engineering degree to use now and then). I couldn’t resist the cloudBit kit, with its ability to connect what we built to the internet. It also helped that the Bit Olympics were about to begin. A three week competition to improve sports through technology was a perfect opportunity to share our project with a community. The sport we selected for our project was ice hockey. Previously, the kids and I had worked on a Lego model of our minor league hockey team. A new area had been built and the puck dropped on the inaugural season for the Lehigh Valley Phantoms last fall. 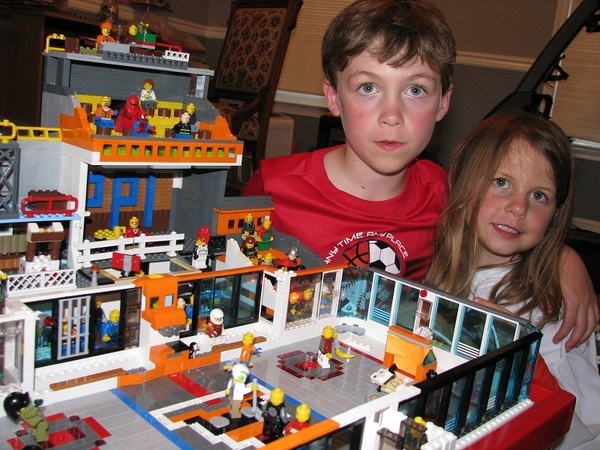 After attending a game, my son was set on building a replica of the PPL Center out of Legos. Since there is not a packaged set for this, it was a free build extraordinaire. With our medium set, it was on to building out our littleBits circuit. There are certain traditional aspects of sports that should not be messed with. In our case, the horn and red light when a goal is scored. We kept those in place with a long led and buzzer from the littleBit collection. However, we improved it with the cloudBit. With a motion trigger in the goal, followers receive a text whenever a goal is scored. This is accomplished with a a simple IFTTT recipe that we wrote as the standard library did not have what we wanted. You can check out our complete entry or the video of the working project. Check out all the entries a the projects site, as well as the grand bitOlympian and other winners. So I can now say I have officially arrived on the Internet of Things. For those of us that are working with Salesforce Wave, it is an exciting week. The Summer ‘15 Plus release hits this week – Sandboxes on July 14 and Production on July 15. As with other Salesforce Clouds, Salesforce Wave follows the normal Spring, Summer and Winter release schedule. As a an emerging technology, we receive three additional Plus releases for double the innovation and new features. Here is an overview of what we are getting. 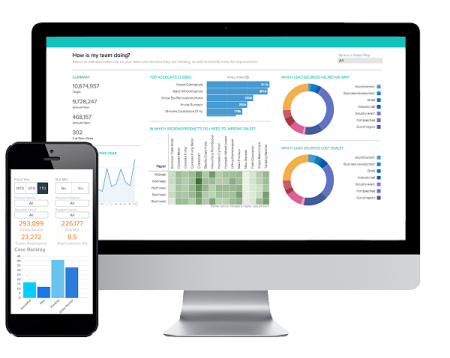 If you have tried the Analytics Playground yet, now is a great time to try it out. You can go through a tutorial and try out Analytics Cloud features. Best of all, you can even start exploring your own data. This can be an Excel or CSV file you upload or a Google doc you connect to. 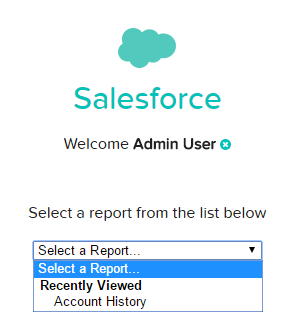 Now, you can even connect to your Salesforce org and select an available report that you have created. Nothing compares to analyzing your own data in the playground! 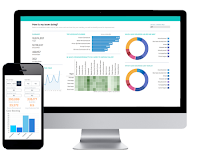 The integration between dashboards in Wave and your Salesforce is even tighter. The ability to add Dashboard to page layouts has gone GA. On Page Layout using the Enhanced Page Layout Editor, there is an Analytics Cloud Assets section that list available dashboards. After dragging a dashboard to a section, use Properties to control the Width & Height as well as set Show Title and Hide on Error settings. Chatter is also included in the integration party. From a Wave dashboard, a Chatter post can be created that includes both the dashboard image and a link to the dashboard. Users can access the image within Chatter to see the dashbaord details and then us the link to dive into the analysis. As getting started with Analytics can be daunting to many, Salesforce is releasing targeted templates to get you started. These templates contain the components needed to answer common questions. The Sales Wave App gets you running in about the time it takes to get a coffee. After answering a handful of questions presented in a wizard like interface, an Analytics Cloud App is created along with the datasets, data flows, lenses and dashboards to analyze the sales side of your business from any device. Sales Wave enables you to review and analyze your Forecasts, Pipelines, Team Coaching and an overall Business Review. All of the topics are personalized based on the questions you answered. For example, if you pick Industry as your primary method of Account segmentation, it is an available filter in the dashboard. Best of all, the data is refreshed daily which lets you keep a pulse on your business. A similar, but much more limited pilot, is underway to pull in data from the Service Cloud for analysis. Summer ‘15 Plus included increases that allow additional data loading. The maximum number of dataflow jobs in a rolling 24 hours has been increases from 10 to 24. This is a welcome improvement, as both failed and successful jobs count towards the limit. When working to get a data extract right, I have hit this 10 data load limit before. Additionally, the maximum number of external data uploads in a rolling 24 hour period has increased from 20 to 50. Several new or changes limits also come with Summer ‘15 Plus. First, there is a maximum amount of external data to load, which is set to 50 GB. 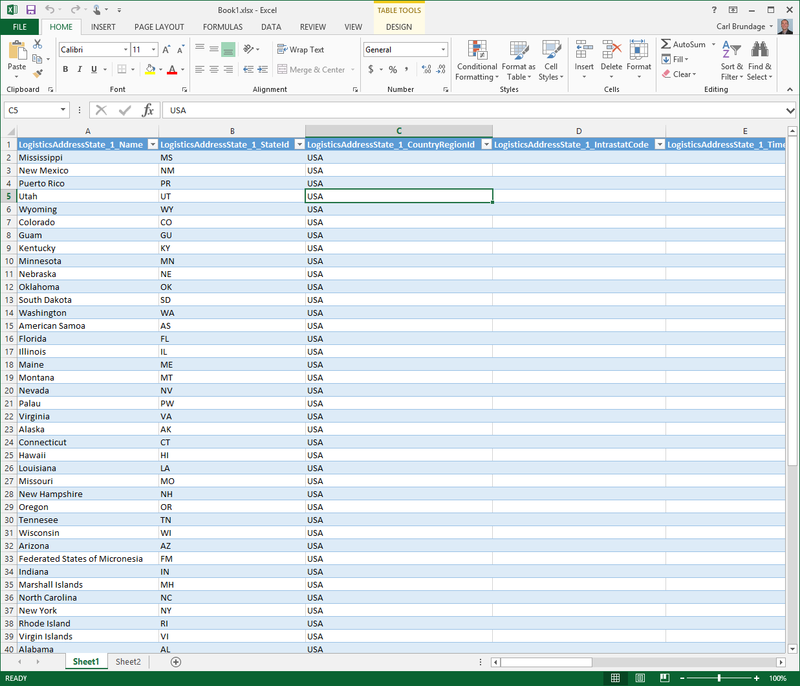 Finally, the maximum length for dataset field names based on a CSV file has been decreased to 40 characters from 255. This is a important change to take note of, as it can affect your datasets. For those of us that push the Analytics Cloud to do more by writing SAQL, take note of the Use More Robust Syntax feature. This release introduces more robust syntax checking to prevent errors when executing SAQL code, which is a nice improvement. However, the changes may break existing SAQL code, which requires you to review and update your code. Be sure to check out the release notes for full details of what has changed. All of the breaking changes are called out. With all the new features in Summer ‘15 Plus, it’s exciting to be working with the Analytics Cloud. I am excited to see tighter integration with Salesforce. Now when an analysis finally finds the data in need of attention, you can quickly and easily take action. What’s your favorite new feature? You may have heard about new Salesforce certifications. If you are curious about what it coming, I will break down the details. In summary, new certifications are on the way in the Marketing and Developer areas. Let’s start with the changes in the Developer area first. When I first started working with Salesforce, I found the concept of a Developer somewhat confusing. When working with other technologies, Java, Microsoft.Net, Oracle, etc., a Developer was always someone who programmed by writing code. While this is true in the Salesforce world, there is also the ability to create something new without programming. Other platforms do not have the concept of declarative development, so this is unique. Looking across other platforms, Administration universally refers to the process of running a system. It does not refer to creating something new, as declarative development enables. So declarative development would not fall under Administration. From the Salesforce perspective, it makes perfect sense to combine both declarative and programmatic development under the Developer umbrella. Looking at the current certification tracks, becoming a Certified Developer exam covers the declarative aspect of the platform and does not include any programming. This certainly creates confusion for those outside the Salesforce world, and even some within. While Advanced Developer does cover the programmatic aspects of the platform, it presents its own challenge. First, Advanced Developer is not a widely held certification, yet is the only representation of programmatic development skills. 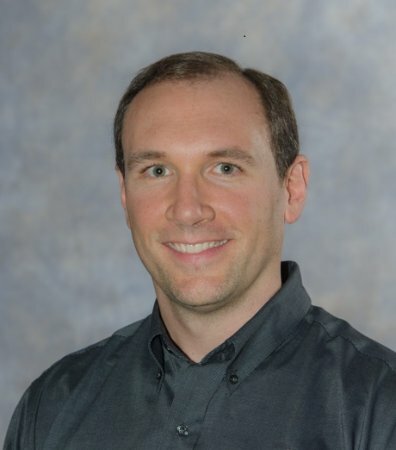 One of the hurdles to certification is the programming exam, which is only offered four times a year for up to 200 participants as the assignment is hand scored by multiple evaluators. This leads to a significant backlog of candidates and multiple months of wait time. Compounding the problem, Salesforce has not even offered the programming assignment since December 2014. (Yes, I am keeping track as I passed the exam in early December and have been waiting ever since.) All of these factors creates confusion in the marketplace around what is a Developer and the skills they posses. With three new certifications, Salesforce is acting to remove all confusion. First, Salesforce Certified App Builder bridges the gap between an Administrator and a programmer. It covers designing, building and implementing new custom applications using the declarative aspects of the platform. Next, two programmatic certifications cover basic and advanced levels of programming skills. Salesforce Certified Platform Developer I is meant to show ability to extend the platform through Apex and Visualforce. Salesforce Certified Platform Developer II is all about going deep with the programming on the platform, including advanced topics. More details on each can be found at on Salesforce’s site. 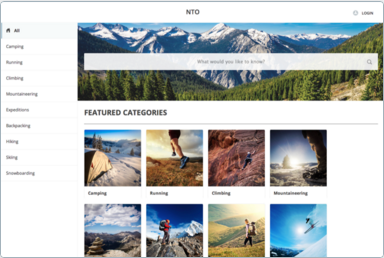 App Builder and Developer I are currently going through beta testing and should wrap up around July 10. Unfortunately the beta program is full for these exams. Certified Platform Developer II will have beta exams starting at the end of July. It appears invitations are going to those who currently hold Advanced Developer Certification. Hopefully, we will hear more details on general availability in August or Dreamforce ‘15 at the latest. At the end of last year, Salesforce introduced Pardot Consultant certification. While Pardot has since been moved under Sales Cloud, it still is all about Business to Business Marketing Automation. Now Salesforce is expanding certifications to the Marketing Cloud. Two new certification tracks have been announced within the Marketing Cloud, focused on users that build, manage and analyze either Emails or Social within the Marketing Cloud. While there are overview details on the certification site, the study guides and recommend online trainings have yet to be announced. If I look into my crystal ball, I don’t think this is the end of the new certifications from Salesforce. Based on my Analytics Cloud Brown Belt Accreditation training in April, there were indications of a future certification in this area. I would also not be surprised to see a user focused certification within Pardot, just like with the Marketing Cloud. Finally, the Certificated Technical Architect track has similar obstacles as the Advanced Developer. A low number of certified individuals, long wait times for review boards and from what I have heard relatively low pass rates. If we apply the changes from Advanced Developer to Platform Developer, a Technical Architect certification path with multiple levels and steps along the way would make sense and resonate with the market. Personally, I look forward to putting my skills to the test with these new certifications once they are available and will be sure to share my test taking experiences. New options for learning Salesforce emerge all the time. As an update to my earlier article on How to Learn Salesforce, Trailhead has been recently updated with new modules. There is now a set of modules covering the new Lightning technologies – Connect, App Builder, Components and Process Builder. These are a great set of modules if you want to get your hands dirty with guided practice. I especially liked the Lightning Connect module. The idea of being able to connect to external sources with OData is intriguing. However, from a practice standpoint without an OData source, it is hard to try it out. This module solves that issue by giving you a source to connect with. The best part is once you finish the exercises, you can experiment on your own. Another new module, is Reports and Dashboards. I have always had an affinity for reporting and analytics, as it is where I started my professional career. One of the challenges with trying to learn reporting, is that of context. You can learn the mechanics of a tool, but without business requirements it lacks substance. The Reports and Dashboard module helps provide background, making the learning more meaningful. With each track you get an overview of the course time remaining and the points you have earned. Personally, I have made it through most content with a couple of modules left in the Intermediate Developer track. I am also excited about what may come. Looking and the track naming and interjecting a little bit of speculation, I am looking forward to the advanced topics for Admins and Developers. What have you enjoyed most about Trailhead? Since my previous post on Combining Salesforce and External Data, it is now even easier to load the example sales data. With the release of Salesforce Wave Connector for Excel, no longer do you need to export data to a comma separated value (csv) file first. Let’s take a look at using the connector to directly populate Salesforce Analytics Cloud from our Excel file. With the Wave Connector installed, it’s time to specify the Salesforce credentials to your Analytics Cloud environment. You must also grant permission to the Wave Connector, like any OAuth app. You can check out the help page if you need additional details on installing the connector. Now we need to specify the Excel data to load. Simply select a range of columns and rows and provide a name to use in Analytics Cloud for your dataset. You can also review the number of Columns and Rows (32,767 is the row limit per import) as well as preview the Column Names and Data types. Then simply click submit data and the magic happens. The upload progress will be reported and a summary of columns and rows displayed. You can then jump to Analytics cloud or Import Another Dataset. Head over to your Analytics Cloud environment and look for your new dataset. You may have to refresh the page if it takes a few minutes for the import to complete. Our new SalesDataGenerator dataset is now ready to be analyzed through lenses and dashboards. It is easy to build a dataset from Salesforce data in the Analytic Cloud. It is also rather easy to create a data set from an external file, as long as you don’t have to change the metadata file. How to combine two sets of data together in the Analytics Cloud is less obvious. With a little bit of dataflow manipulation, you can create a new, composite dataset of both sources. Here is a guide to help you through the process. First, you want to load your external data from a CSV (comma-separated value) file by creating a new dataset. I have created a sample Sales Data file that contains sales by account broken down by product and time period. 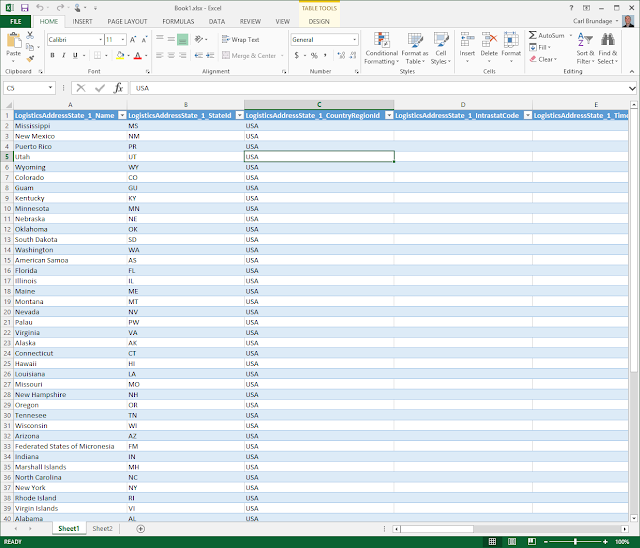 I have also included my Sales Data.json metadata file for reference. In this case, I did not have to make any changes from the system generated mappings. It is always a good idea to check your date format and values, as this is a common source of error. Now select Create Dataset and your Sales Data is in the Analytics Cloud. You can then start exploring the data by creating Lenses and Dashboards. What if you want to see this data linked with your Account details from Salesforce in order to analyze by state or account type? Loading Salesforce data is a snap using the Dataset Builder user interface. In this example, I am only interested in pulling Account information, to keep it simple. I am going to add just the Account object and a select fields to my dataset (Account ID, Account Name, Account Type, Industry and Region). Next, select Create Dataset, provide a Dataset Name and use Create to save. 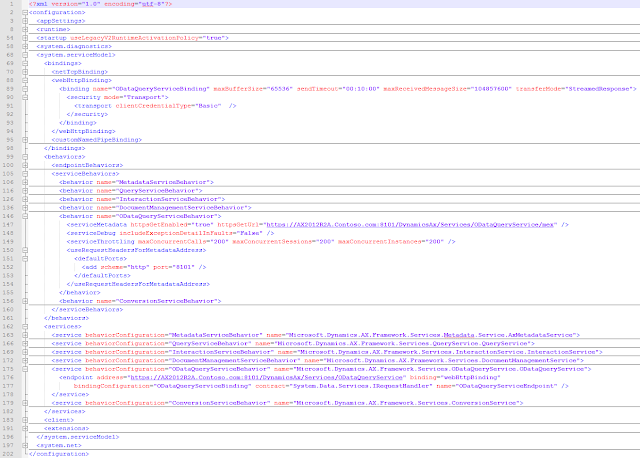 This will add the associate JSON entries to the dataflow for this dataset. The data will not be loaded until the next schedule run of the dataflow, currently set for once a day, or a manual run. Don’t start the dataflow yet, as we are going to have some fun first. We have avoided JSON manipulation so far, that that is about to change. You cannot combine external data with Salesforce data in the UI, but we can use previously loaded datasets in the dataflow. Start by downloading the dataflow json definition (SalesEdgeEltWorkflow.json) and open it in your preferred editor. I use JSON Editor, but would be willing to switch if you have suggestions on a better tool. Here is my dataflow JSON that shows the Account load. For simplicity, I have removed other flows for this example. By default, the workflow steps are labeled with numbers. I have added additional text to the name to help distinguish. Your dataflow JSON may look different, what is important is to find the Account load from Salesforce. This will be a sfdcDigest, with an Object of Account and the fields we select. My is named 101_Load_Account. sfdcDigest will pull the data from Salesforce. Next, find the step with sfdcRegister action that takes has the same source name as the Account load. Mine is named 102_Register_Account, which makes the dataset accessible in the Analytics Cloud based on the name supplied. Now, we are going to add a couple of additional steps. First, we need to add an edgemart transformation. This allows us to load a previously created dataset into the dataflow. If you don’t recall the alias name of your dataset, you can always use the lens.apexp page in your org for reference - https://<pod>.salesforce.com/analytics/wave/web/lens.apexp. My step is 200_Sales_Data and my alias was Sales_Data. Now, the Sales Data file we loaded earlier is available within our data flow. With the external data available, we can use an augment transformation to combine it with the account data. This is my step 201_Combine_Sales_Account with an augment action. We are going to make the Sales Data our left object and Account the right, specifying the join condition via left key (Account from the Sales file) and right key (Name from the Account file). All of the columns from the Sales Data data set are automatically included, and we need to specify the columns to include from the right (Account data set) as well as specify the the relationship prefix name to use, Sales in this case. Save the dataflow json file and go back to Data Monitor. Before you upload, you may want to save a backup of the previous dataflow in case you want to revert to your original dataflow. Then, Upload the dataflow json file and start the data flow. Once the dataflow finishes without errors, you have a brand new dataset of external and Salesforce Data. With our new dataset, we can put together lenses and dashboards of sales activity, over time by various account attributes such as account type, key status, etc. With the ability to load edgemarts into dataflows, we are not limited to combining Salesforce and external data. We could also load two sets of external data, load both into the dataflow and combine them into one final dataset. A very powerful feature of Analytics Cloud. The Account Names are specific to my environment and may not match yours. I created a simple Sales Data Generator Excel Template that will generate random, sample data. Simply replace the Account Name on the Account tab. If you want to match on a different key to Salesforce, replace the values in Account Name with the desired data. Adding additional columns to the right of Account Name is fine. The Dynamic tab uses a random number between one and the number of rows with a Row ID to find an Account. You can add more or fewer Accounts, just be sure to have Row ID values for valid rows. The same approach is used for Product. The period is generated as a random date between a Start and End date specified on the Control Tab. To change the date range, simply enter the desired start and end date. Similarly, Price is selected between the Low and High Price on the control tab. Change the Control values for a different price range. Finally, as the Dynamic tab changes on each change, you will want to create a static copy of the data for repeatability. Copy the columns from Dynamic and then head to the Sales tab. Perform a Paste Special of Values with Number Formatting. Now you can save the tab as Sales_Data.CSV and you are ready to go with your own custom data.